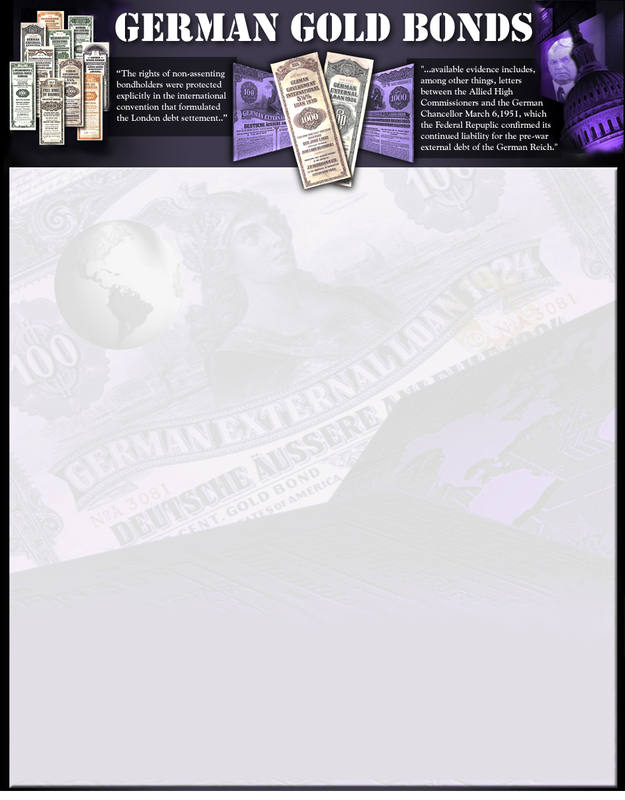 The German Government sold hundreds of millions of dollars of bonds to American citizens in the 1920's. Those bonds all went into default when Hitler came to power in 1933. Then in 1951 Germany confirmed that it would take full responsibility for all Pre-War debts and offered to issue new, lesser valuable, bonds in exchange for old bonds at that time. There was however a catch. Germany claimed that the Russians had looted a large number of the same kind of bonds from their vault at the end of the war in 1945. Because of this, to get the new bonds, holders had to "prove" that their "bearer" bonds were not in Germany in 1945 and thus could not have been looted by Russians. Most Americans could provide no such proof and thus decided to press a claim against Germany for payment in full. However, by the terms of the 1953 treaty, called the London Debt Accord, no such claims could be made against Germany until all of the new bonds, issued in 1953, had been paid off. This occurred on April 15, 1994. Within the past few years startling information has been uncovered about what really happened through the history of these bonds. 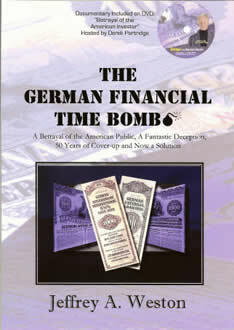 What Germany did in 1953 was a grand deception designed to sweep the Pre-War debt under the rug once and for all but what really happened is that Germany created a financial time bomb for itself that has grown bigger and more devastating as each year passed. This book examines this matter in great detail and should be of interest to anyone concerned about finance, politics, or justice. As the first book written on the subject of Germany's continued liability on it's Pre-War debt, this book serves as the authoritative guide for anyone interested in the subject.